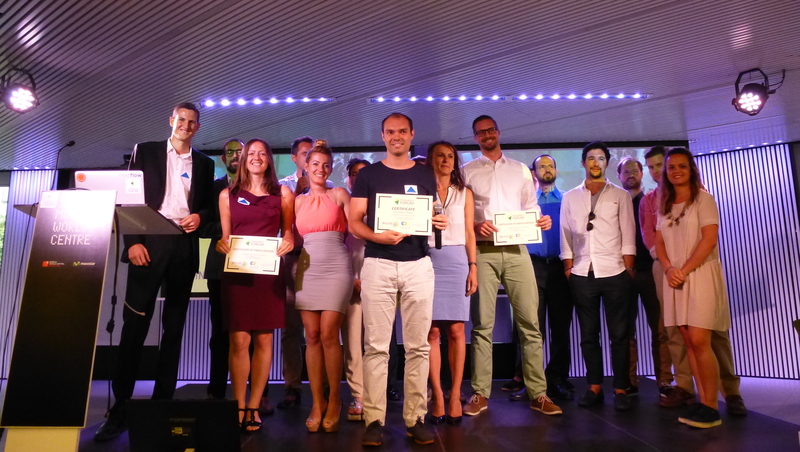 On 11 July, Barcelona hosted the first final of the IMAGINE IF! acceleration program, a global initiative designed to support science-based entrepreneurial projects with the potential to have a significant impact on improving human or animal health that is held in various European cities. The Barcelona edition, organized by Institut Químic de Sarrià IQS Tech Factory and Innovation Forum Barcelona, chose New Born Solutions as the finalist. This start-up presented Neosonics, a non-invasive medical device to prevent childhood meningitis. The event, which was held at the Mobile World Center, brought together approximately 120 people, with presentations by the 10 teams selected previously during the initial phase in June. These included MOWoOT –one of the start-ups that have emerged from the d·HEALTH Barcelona master, an initiative of Biocat–, which was the first runner-up. The Neosonics device from New Born Solutions makes it less necessary to do lumbar punctures in newborns by allowing pediatricians to diagnose whether or not the baby has meningitis using an ultrasonic white blood cell count. The team is working on an alternative for developing countries with limited access to lumbar punctures and the following analyses, which are expensive. New Born Solutions will be representing Barcelona in the final in Cambridge, where the second phase of the acceleration program will be held: the Innovation Forum – Leaders Conference on 22 September. The 10 groups selected in the 10 European cities, including Barcelona for the first time, will compete there. The projects will be presented to international experts in the industrial, academic and governmental sectors and have the chance to win £30,000 to continue developing their idea and their business. The conference focuses on innovation in technological industries in the pharmaceutical, biotechnology and clean technology arenas. At the same time, the finalists will also receive guidance on how to make their idea into a business project from 23 September through 20 December and will be able to participate in the Investors Conference held in Cambridge in January 2017. As the runners-up in the Barcelona final, MOWoOT and iBreve (which presented new technology to control stress) will compete against the other runners-up from the rest of the cities in Europe by presenting a video explaining their idea and their business plan to be able to participate in the Innovation Forum – Leaders Conference. The finalists in the IMAGINE IF! program, New Born Solutions, MOWoOT and iBreve, with the team from IQS Tech Factory and Innovation Forum Barcelona - Photo: © IQS Tech Factory.